On January 20, 1999, at 7:55 P.M. officers responded to the 600 block of N. 28th W. Avenue, Tulsa, OK in reference to a shooting. Upon arrival, they were met by Freda's husband. He gave information that upon returning home and stepping onto the front porch, he heard a gunshot. 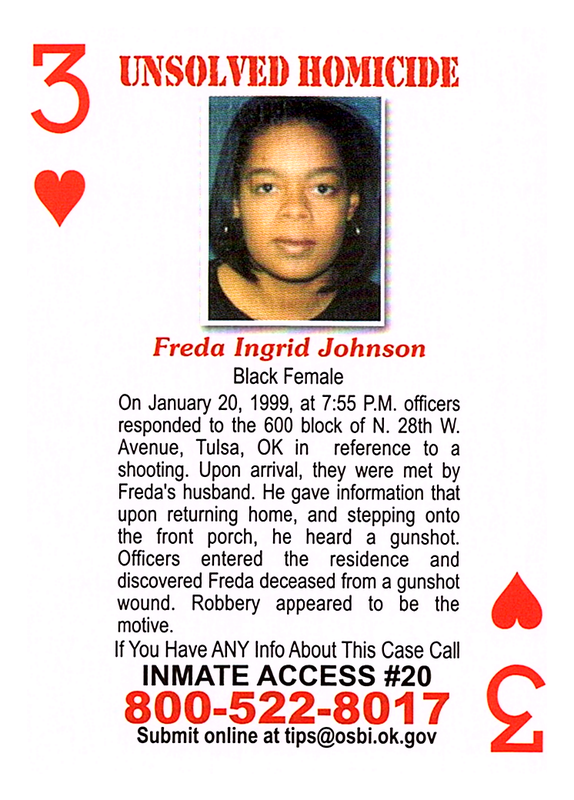 Officers entered the residence and discovered Freda deceased from a gunshot wound. Robbery appeared to be the motive.